We completely agree with the ability of "baking" a group. Currently users create an STL and bring it back in, but something like this would reduce the amount of clicks and definitely make models faster since there's less computing to be made. A question: when going from a group into a baked or welded object, how much do you care about the colors, if the group was multicolor? 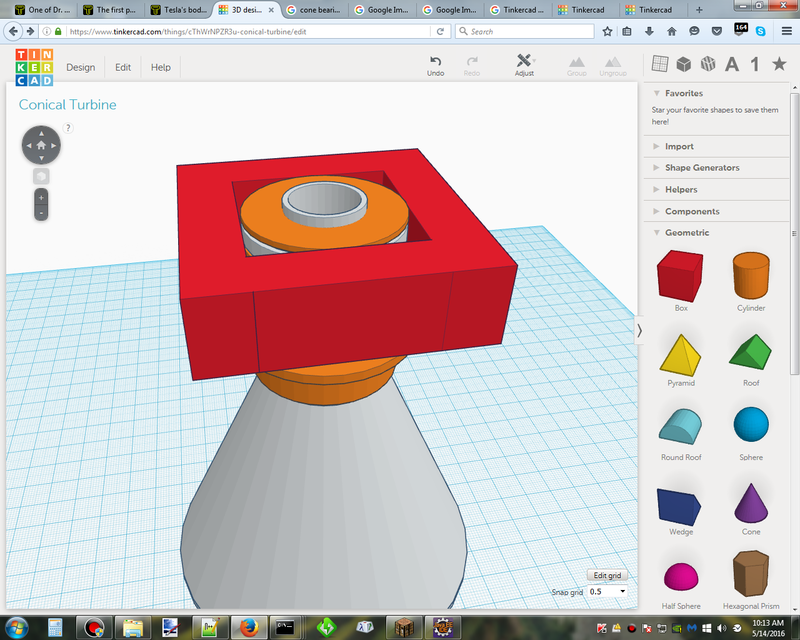 As I use Tinkercad for visualization only and not for 3D printing, I don't care about the color at all. If the group is baked and defaults to any given color, so long as the color can be changed, I have no problems with it. As far as multicolor goes, I don't see the need to use it. Would this "baking" of groups also get rid of all the "holes" in the background? Sometimes I end up with a couple of shapes that have hundreds of "holes" so loading times get kinda crazy. I would expect that holes are baked with the group, and that would be one of the major benefits; the faster loading of objects. I often have many holes, cutouts, and shape modifications using the hole feature, so sometimes it takes all of 2 minutes spent waiting for it to load up and register all the holes. It would help to keep from un-grouping too far and exposing these hole shapes, as well. That way, you get to preserve all the components that make up a complex model, but they stored in a new design ( my_part_bake_1 ). The baked part is simply an automatically converted stl from that new design that appears in the current design. Multiple colors withing a group definitely proposes a problem, even for visualization. For example, a vehicle will have different colors for the tires vs. the body, lights, windows, etc. What I have done, and yes it is time-consuming, is create stl components of the various components (i.e. tires, body, etc.). If the multicolor groups would each be a corresponding item within the new "baked" group that would save a lot of time in building the baked group due to the mandatory relocations inherent to this process. I would really like to be able to do this to get rid of all the extra junk that is grouped together. Currently when I do detailed work it weighs down the program and crashes my browser. I want certain objects to be permanently locked without using over 1GB RAM.